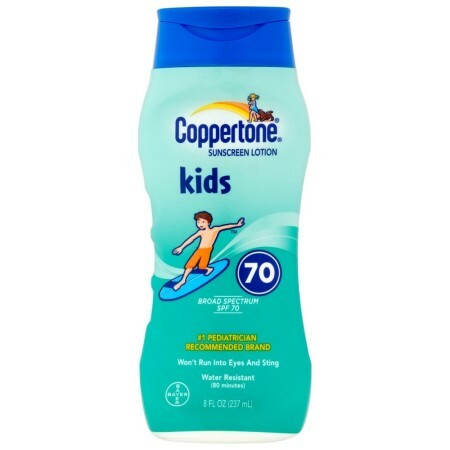 Directions Adults and children 6 months of age and older: Apply evenly and liberally to all exposed areas before sun exposure. Ensure complete coverage. 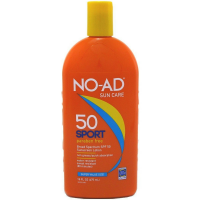 Reapply as needed or after towel drying, swimming, perspiring, or vigorous activity. Children under 2 years of age: Should use sunscreen products with a minimum SPF of 15. Children under 6 months of age: Ask a doctor. May stain some fabrics. Sun alert: Limiting sun exposure, wearing protective clothing, and using sunscreens may reduce the risks of skin aging, skin cancer and other harmful effects of the sun. Uses Screens out the sun's burning rays to help prevent sunburn. 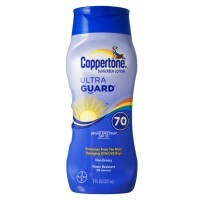 Provides protection from UVA rays that may contribute to skin damage and premature aging of the skin. 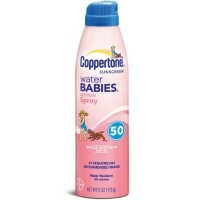 Higher SPF gives more sunburn protection. 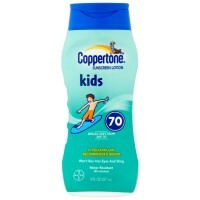 Retains SPF after 80 minutes of activity in the water or sweating. #1 pediatrician recommended. Waterproof.